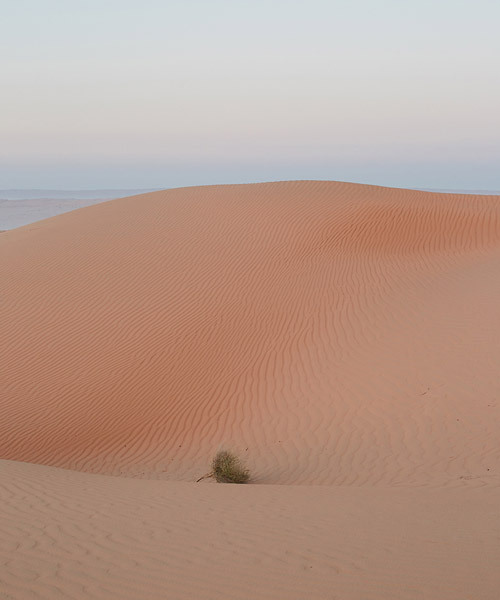 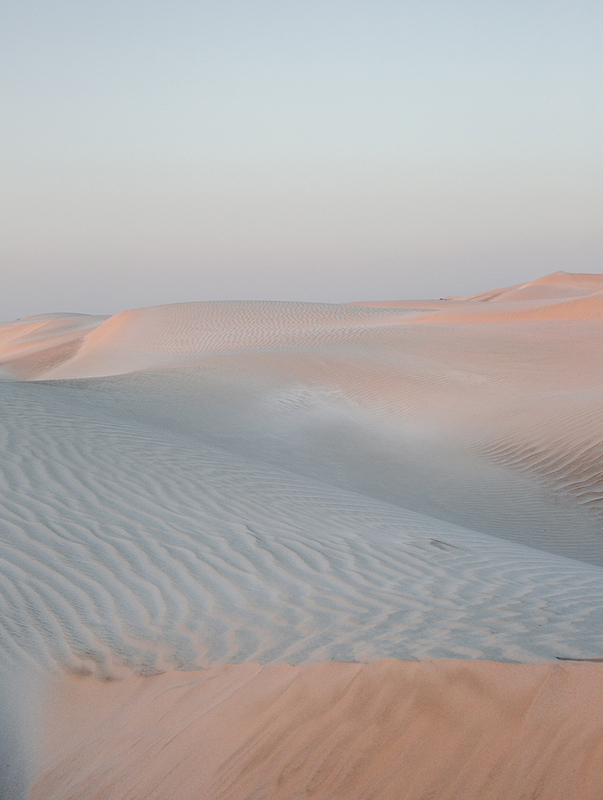 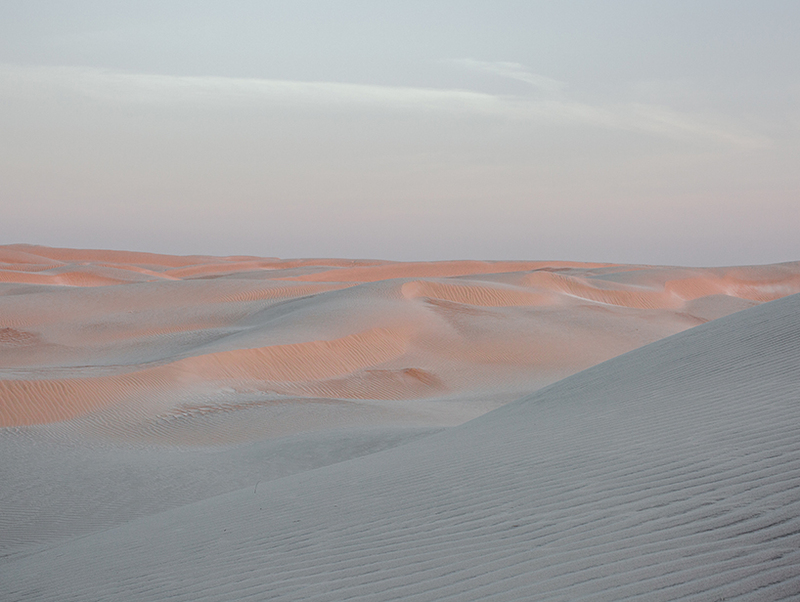 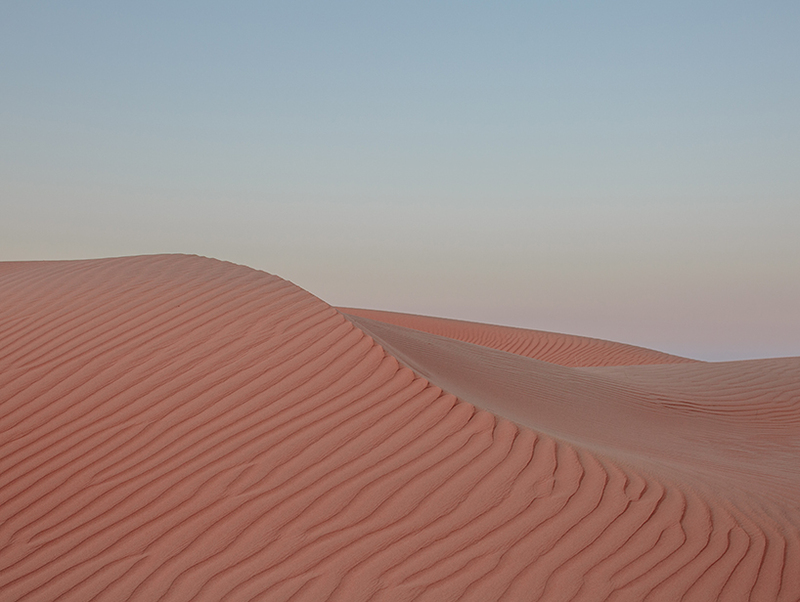 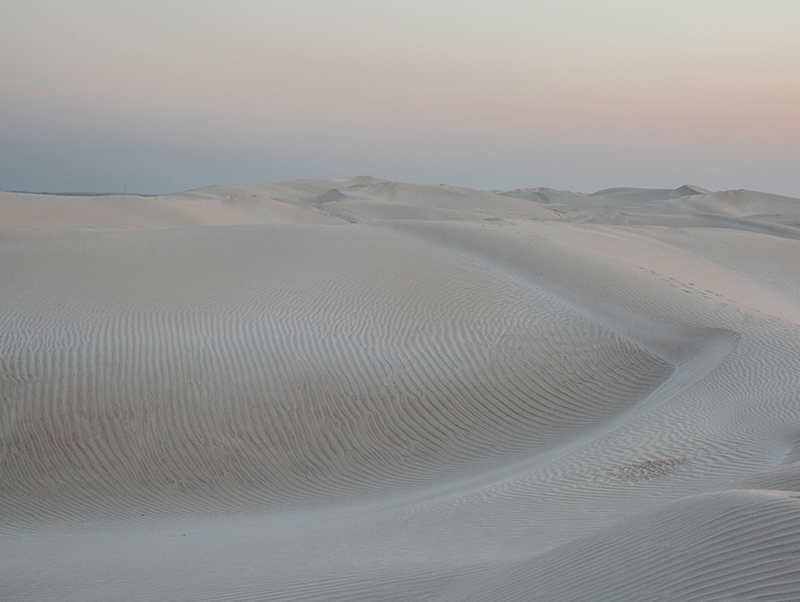 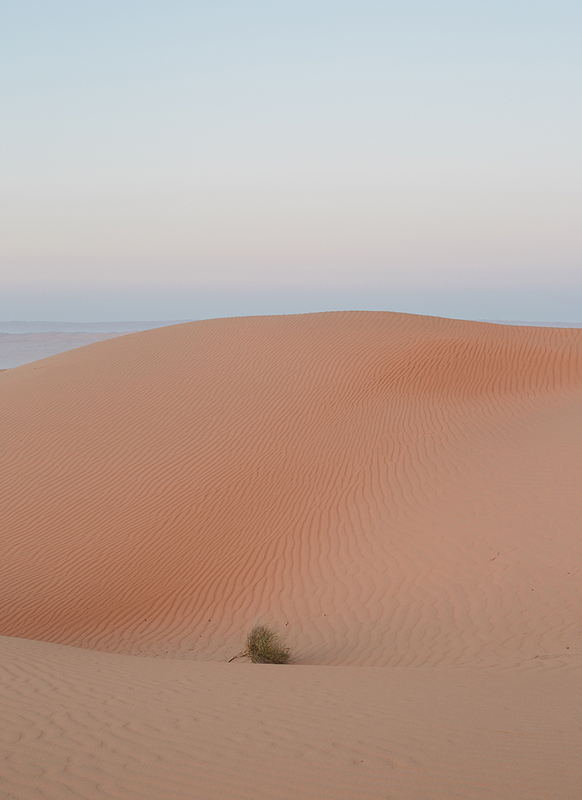 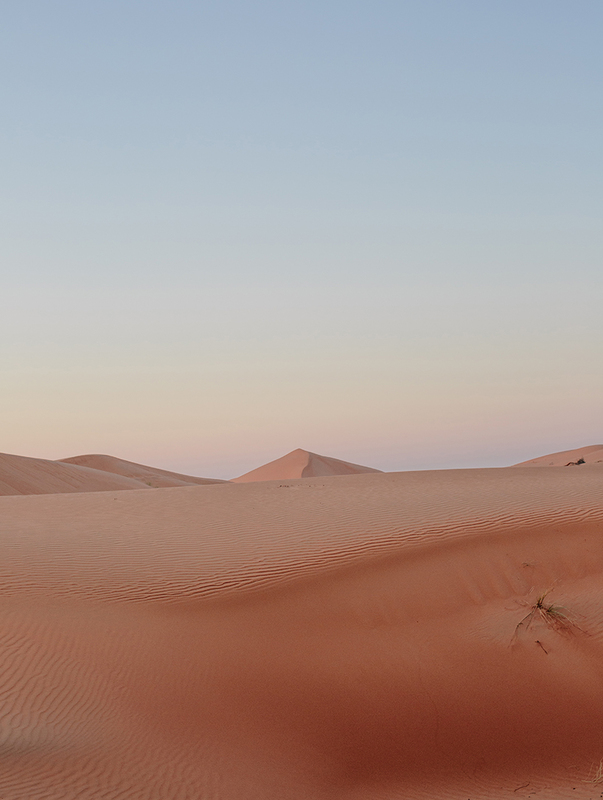 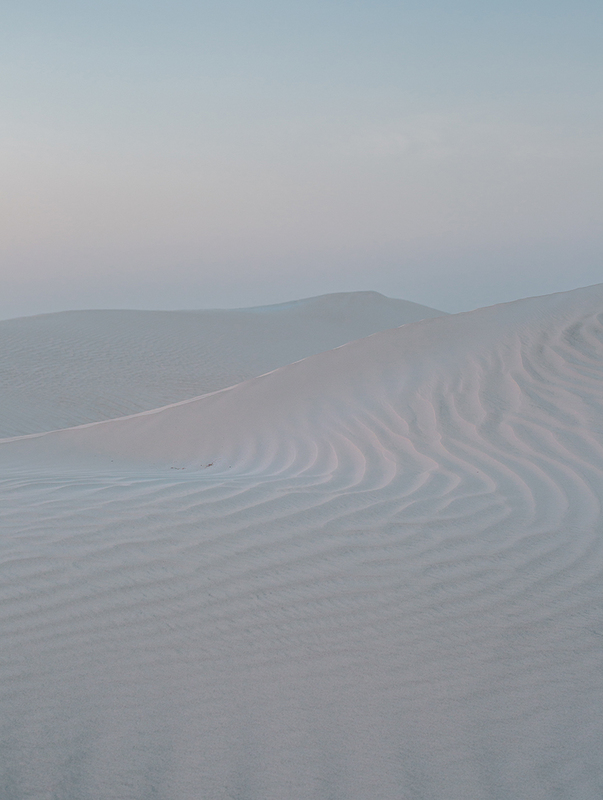 canadian photographer chiara zonca’s minimalistic take on sand dunes of oman desert is shot in the few seconds of light just before the sun dips below the horizon. 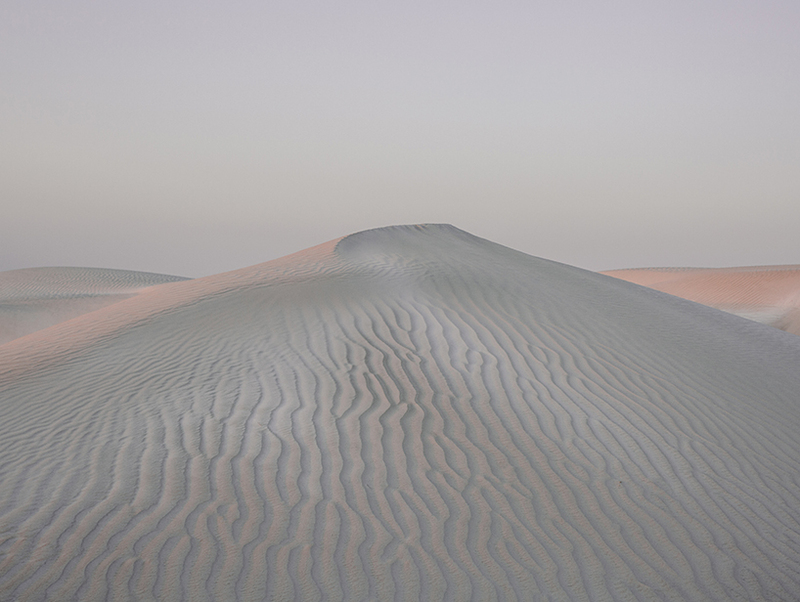 titled ‘tread softly’, the series enhances the abstract nature of sand and its intricate patterns, creating surreal and architectural shapes that somehow appear futuristic. 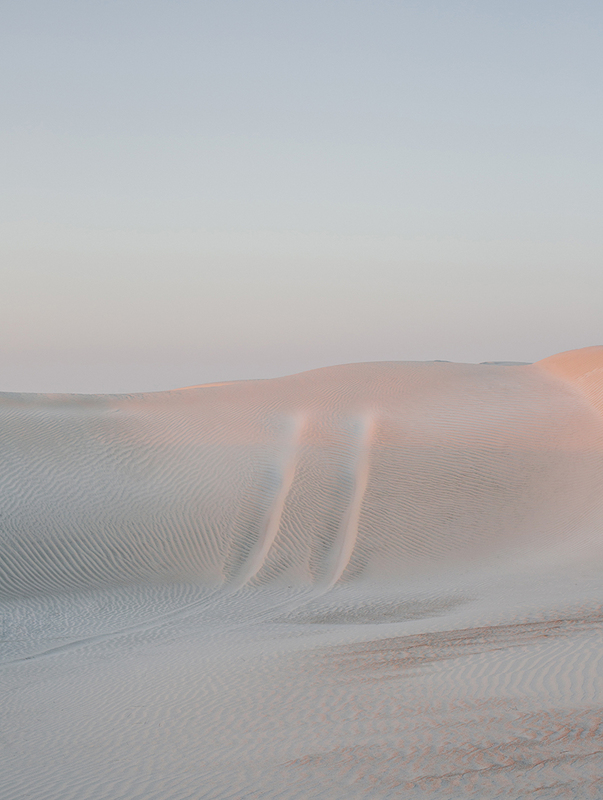 ‘the abstract and solitary nature of those sand dunes gave my eyes no reference point to connect those dreamscapes to reality, enabling my thoughts to unravel and my body to connect with the space I was into on a deeper level,’ continues the photographer. 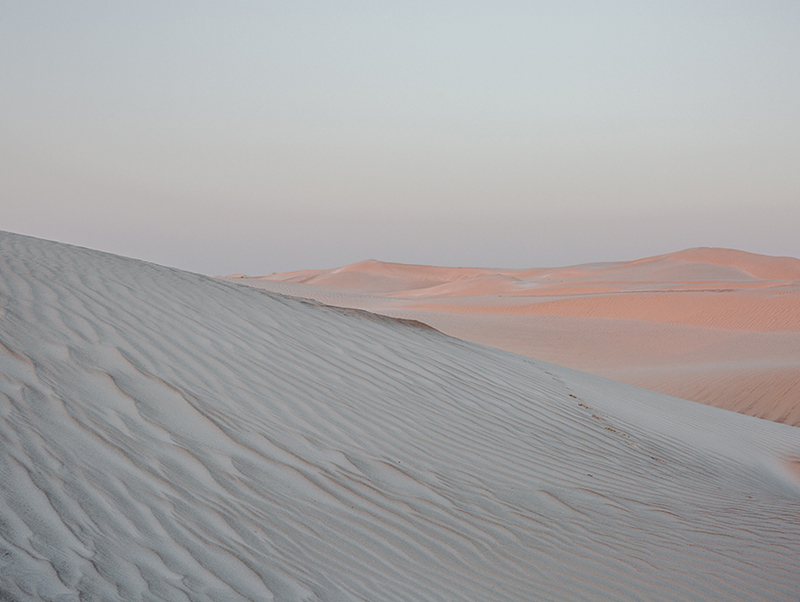 the whole series is shot on digital format and lightly colour graded to enhance the contrast between the pearly greys and the deep orange hues.